Joi McMillon made history when she was nominated for an Academy Award as an editor on Moonlight—she was the first black woman to be nominated in the category, ever. As you might guess, racial diversity in below-the-line jobs reflects the same issues that Hollywood has with onscreen representation. McMillon is only the second black editor to be nominated for an Academy Award, as well. In 1969, Hugh A. Robertson was nominated for Midnight Cowboy. Robertson went on to open a Caribbean film and recording center with his wife, but passed away quite young at 55. He is also credited as the editor for Shaft, The Miracle Worker, and Lilith. These groups are so specific, almost like cliques, so literally once you meet the right person, it’s a whole new world for you. For me, it was hard to break into scripted and features because I didn’t know anyone. I’ve also been constantly working as a first assistant editor. The hard jump for me was moving from first assistant editor to editor. Everyone kept saying, “You don’t have the right credits or no feature film credits.” “You’ve done a lot of Tyler Perry movies.” I just wasn’t getting the job. When asked about other barriers between people of color and women when it comes to editing jobs, McMillon cites the high cost of union dues. However, as a female nominee, McMillon is building on a lesser-known aspect of filmmaking history. Women have always been welcomed—and in many quarters preferred by male directors—as film editors, or “cutters,” as they were originally known. In the early days, the job was regarded as menial labor, and it largely was. Cutters worked by hand, running film on reels with hand cranks and manually cutting and gluing together strips of it. (Moreover, they almost never received screen credit.) After the advent of the Moviola editing machine in 1924, the process became faster and easier, but was still tedious and low paying, which is why most cutters remained young, working-class women. One such woman was Barbara McLean. McLean began as a cutter in her father’s New Jersey film laboratory, then moved to Los Angeles in 1924. She cut her first movie, Gallant Lady, in 1933 and eventually worked her way up to being the right-hand woman to Fox studio executive Darryl F. Zanuck, who supposedly turned to her for everything from costumes to casting. McLean won an Academy Award in 1944 for her editing on the documentary Wilson, and earned many other nominations in the category for films like All About Eve and Tobacco Road. This would likely be an unpopular statement if uttered in 2017, but McLean spent a lot of time gently directing male directors, as she did in her relationship with Zanuck. Editing slowly became a more respected aspect of the filmmaking process, and women editors often had complicated relationships with the men in charge. Anne Bauchens was another example, an editor who was notoriously devoted to director Cecil B. De Mille. Forty of the 63 films Bauchens edited were for De Mille, and she also worked as his “script girl.” When the category for Best Editing was created in 1934, Bauchens was nominated for Cleopatra. She became the first woman to win an editing Oscar for North West Mountain Police in 1940. Her nickname was supposedly “Trojan Annie” for her work wrangling De Mille’s complicated films. Schoonmaker was nominated seven times and won three Oscars, for Raging Bull, The Aviator, and The Departed. What is fascinating in Jaws is that the shark has a personality, the shark has an intelligence, indeed sometimes I think the shark has a sense of humor, morbid as it might be. And that was all achieved in the first two acts of the film before you see the shark. So the cutting was very essential for that. Spielberg also credits Fields for her handling of the film, apparently giving her the nickname “Mother Cutter.” Jaws was the last film Fields ever edited, before she was made VP for future productions at Universal Studios in 1976. Editing a film is the work of an artist with a technical background, one which young women were able to be educated in more easily as long as the artistry behind it was unrecognized. The medium of editing created the opportunity, and within that opportunity female editors flourished. 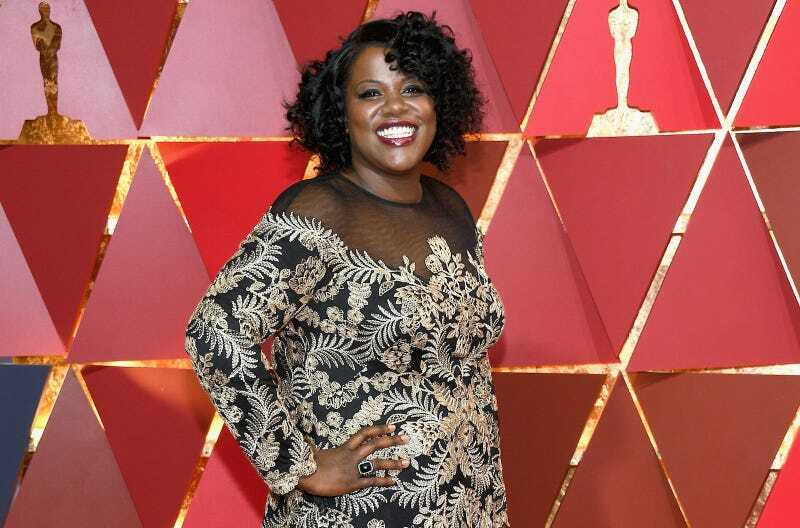 That accessibility was less available to the men and women of color in the industry, and it’s taken all of Academy history for the nomination to acknowledge the talent of someone like Joi McMillon. In her interview with L.A. Times, McMillon mentions the people who supported her and her eagerness to promote and recommend other editors, one of whom is currently working on Ava DuVernay’s A Wrinkle In Time. Not only has McMillon made history, she’s influencing the future of her profession—a lesser hailed but monumentally important job to the craft of filmmaking.